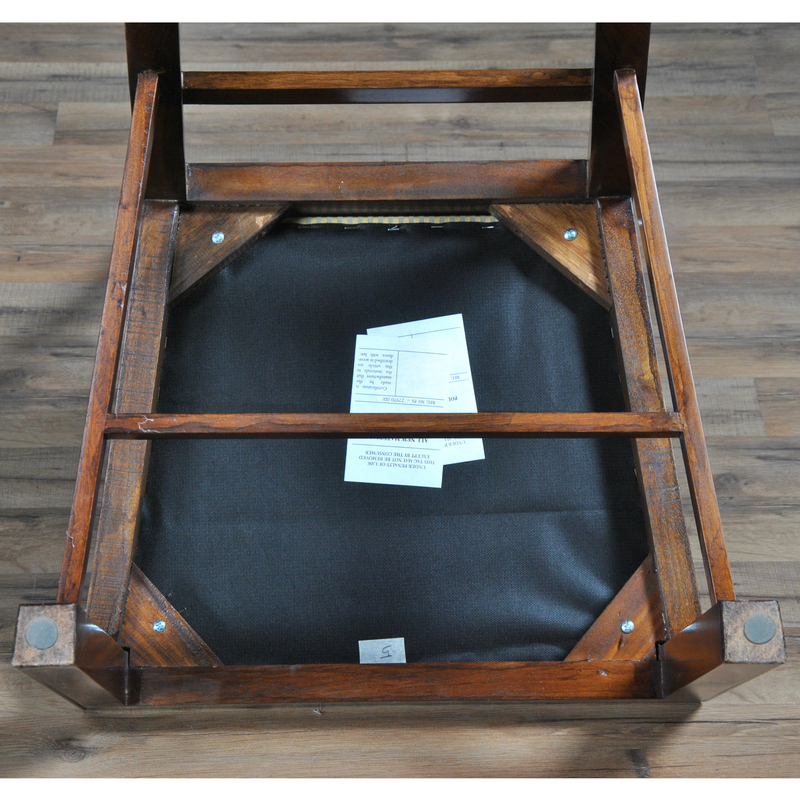 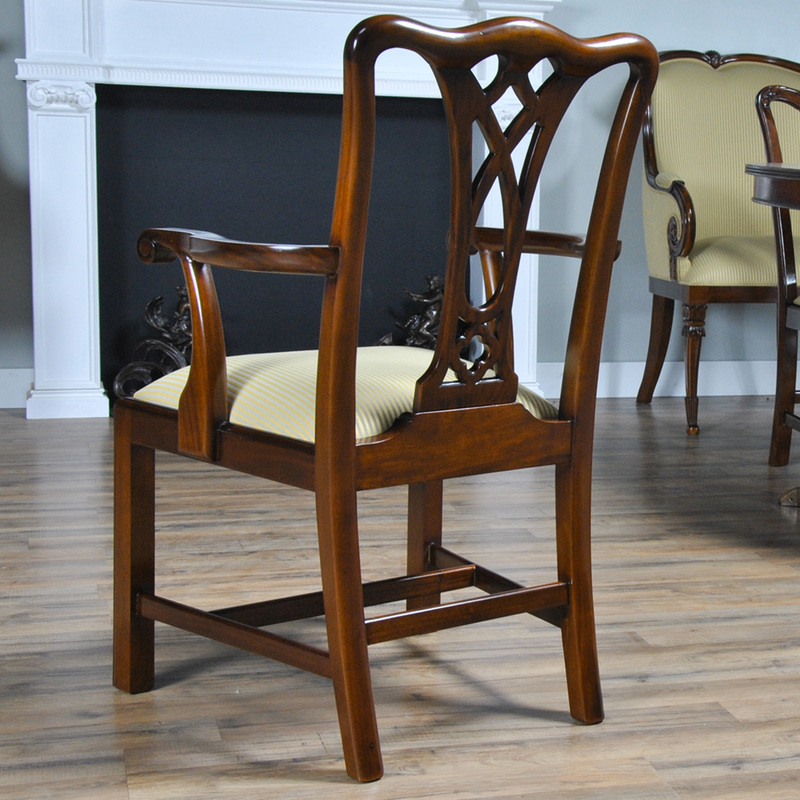 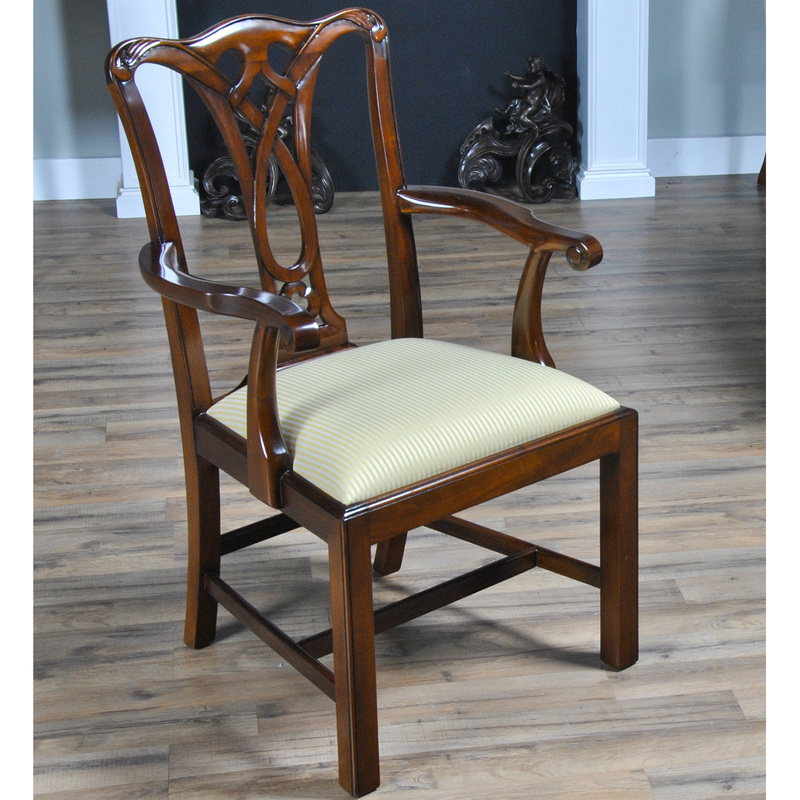 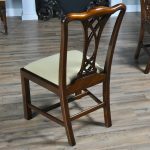 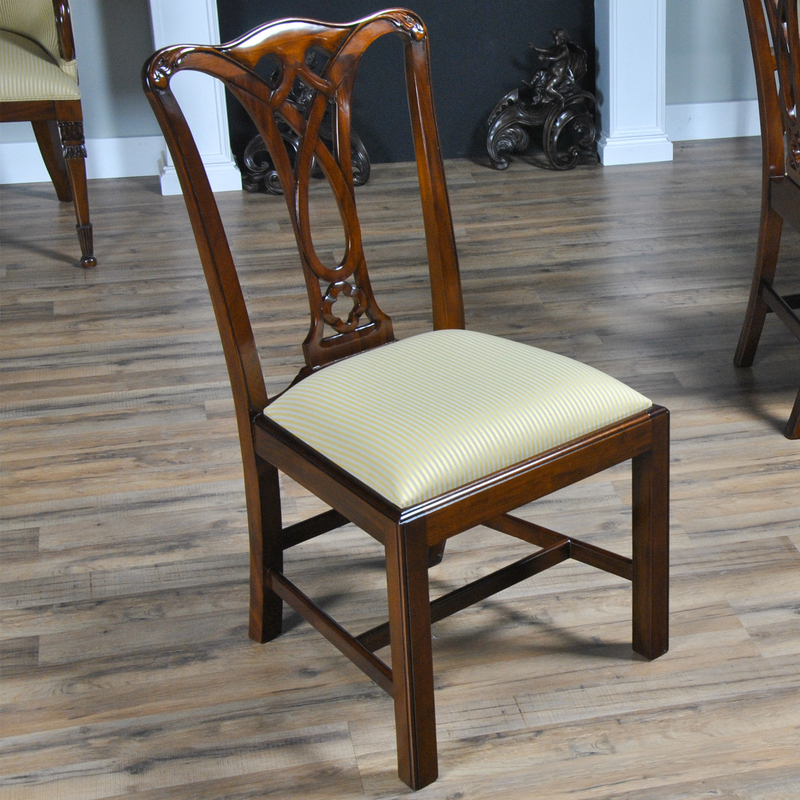 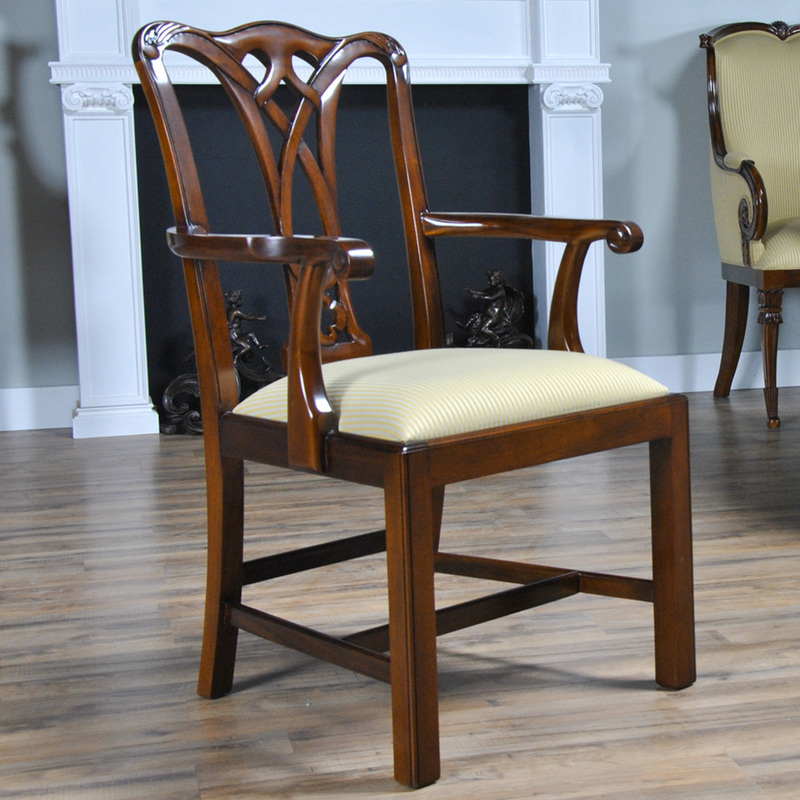 Deceptively simple in design, this set of 10 Country Chippendale Chairs from Niagara Furniture features 2 arm chairs and 8 side chairs. 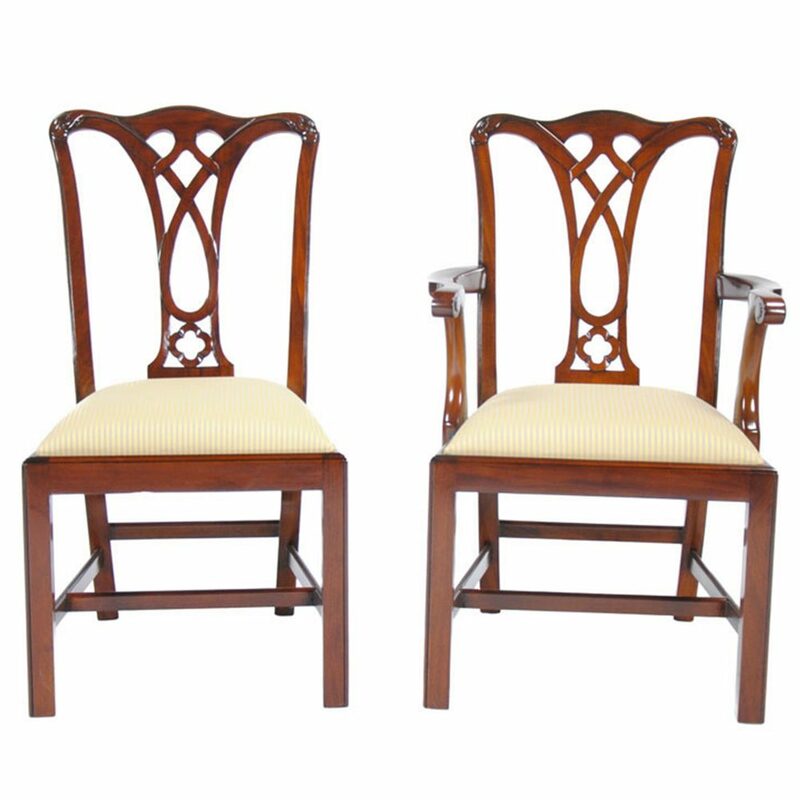 Simple enough to almost be minimalist, detailed sufficiently to be decorative they will fit in with almost any decor. 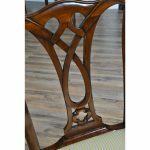 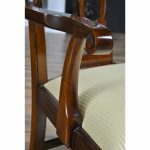 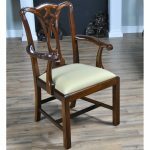 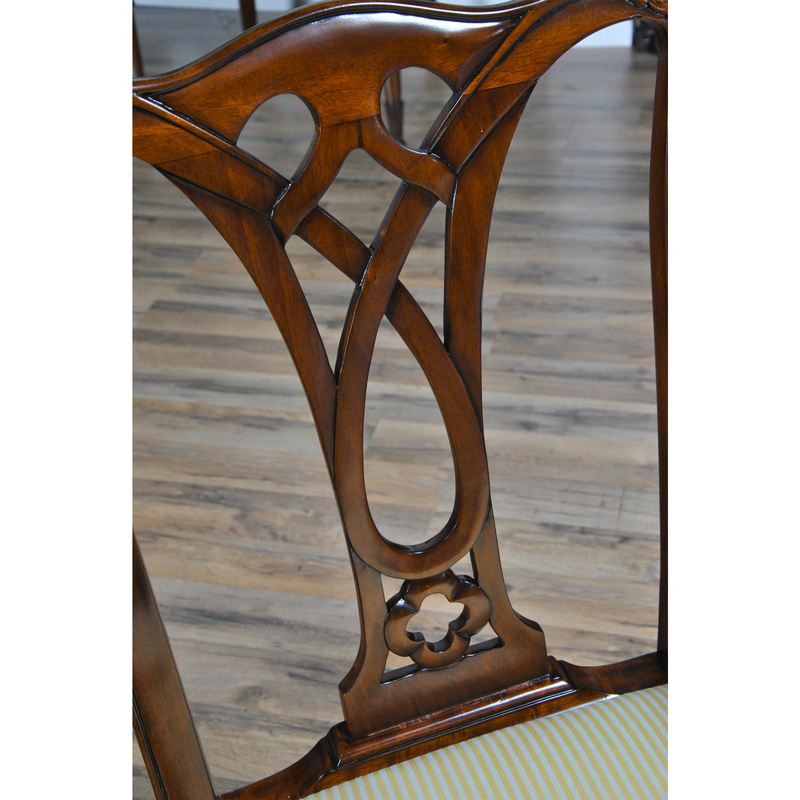 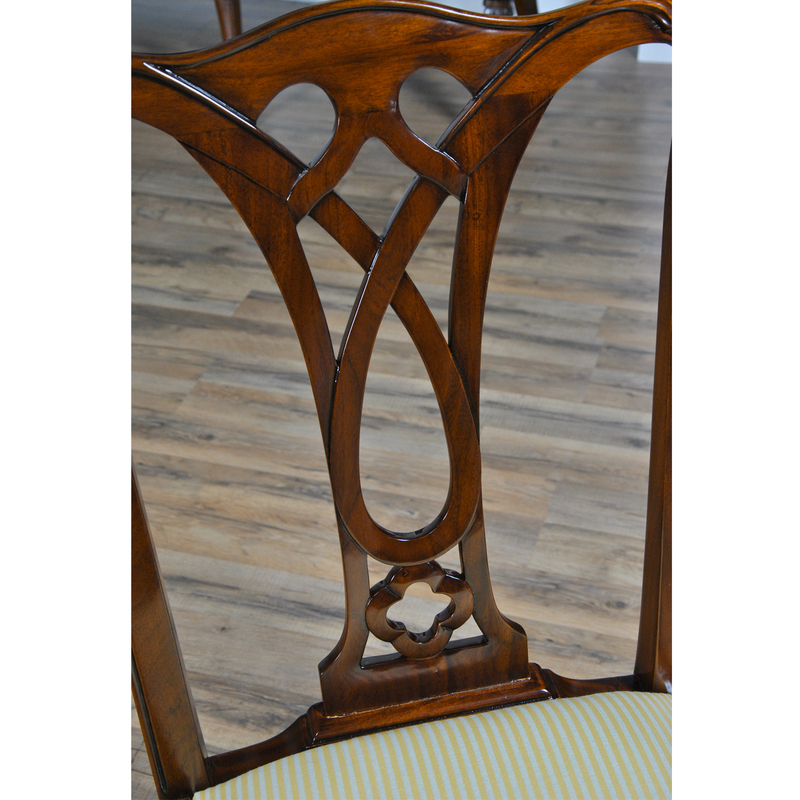 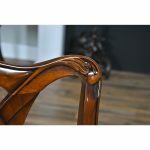 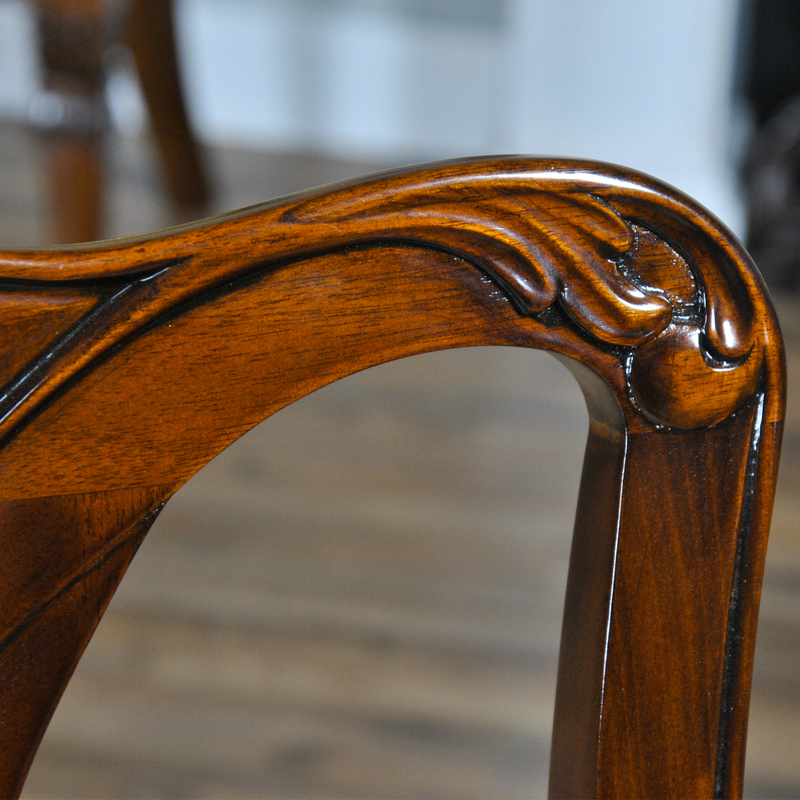 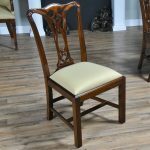 A stylishly carved crest rail over a simple, pierced back splat and scrolled, curved arms resting over a drop in seat chair frame on top of square front legs. 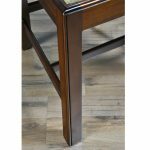 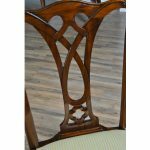 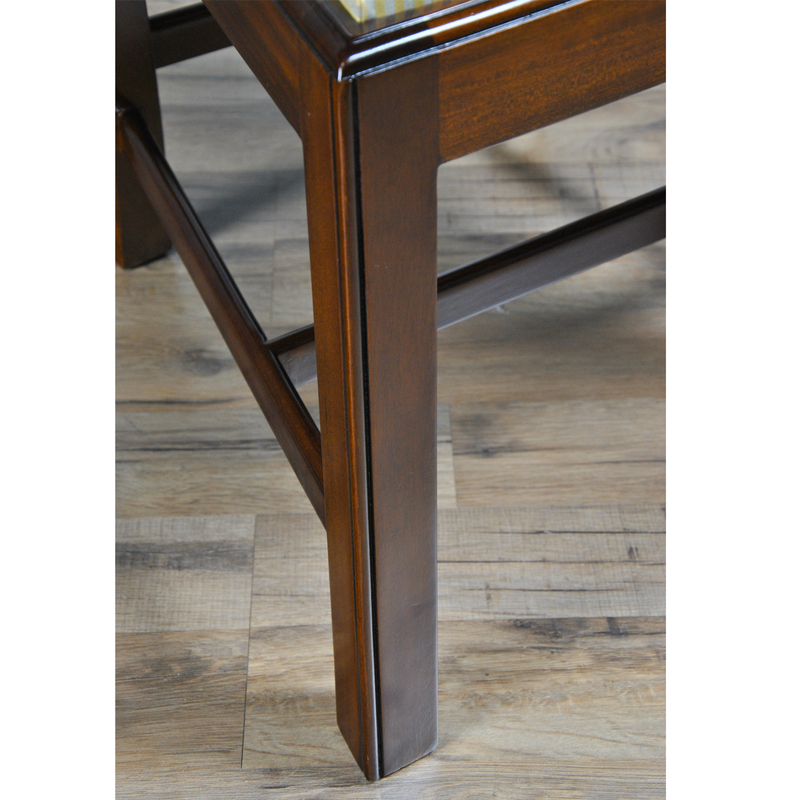 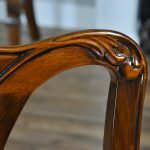 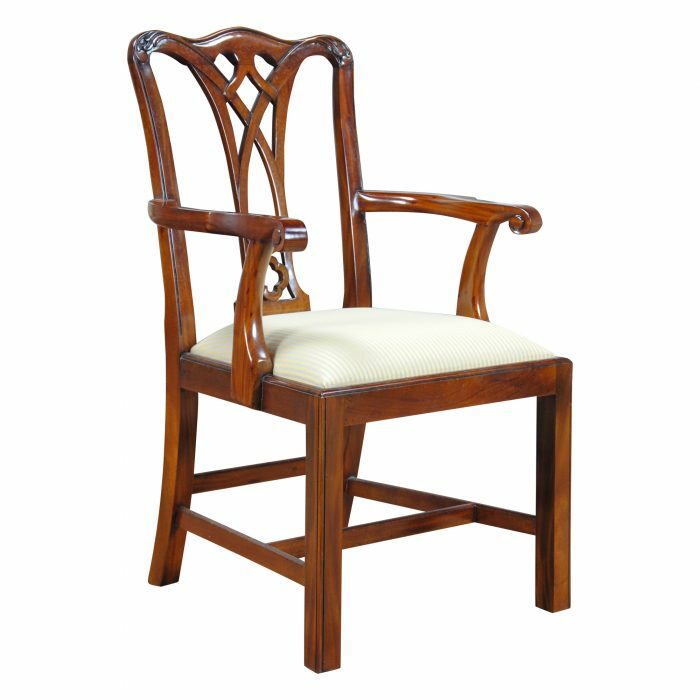 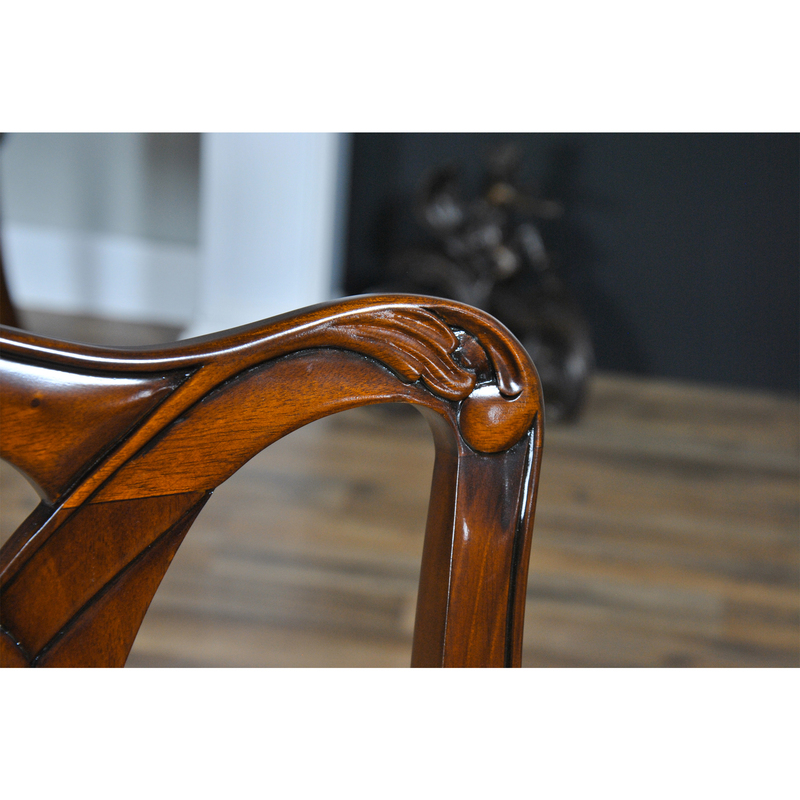 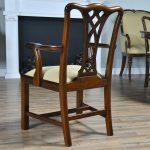 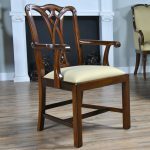 High quality mahogany, hand carved details and strength derived from the simple design make this chair one of our most popular models. 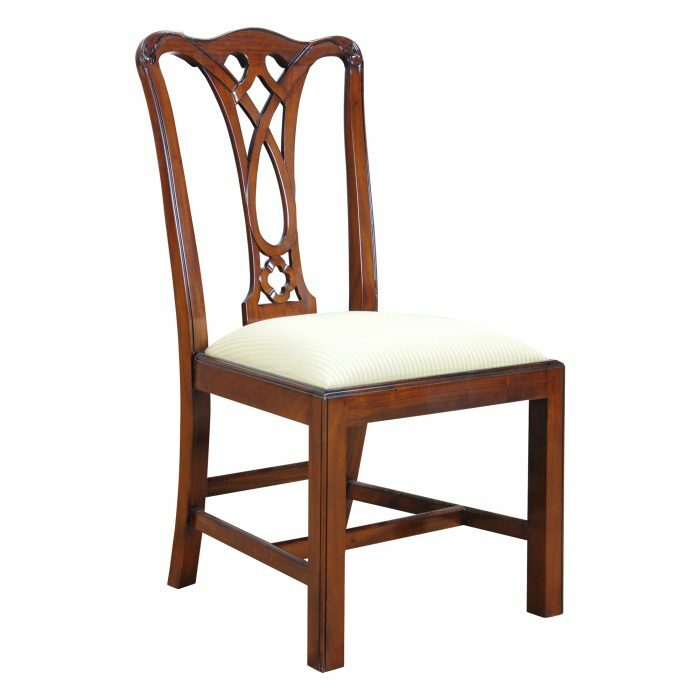 Arm Height approximately 27.5 inches and seat height approximately 19 inches.